A former corporate exec offers sage advice for inspiration—and a fulfilling life. Numerous studies have found most U.S. adults suffer from sleep deprivation. That’s not the case for Desiree Welch. She gets eight hours of shut-eye a night, exercises regularly and eats nutritious food. How does she maintain a healthful regimen and run Mr. Handyman of Brentwood, Antioch and Discovery Bay with her husband? 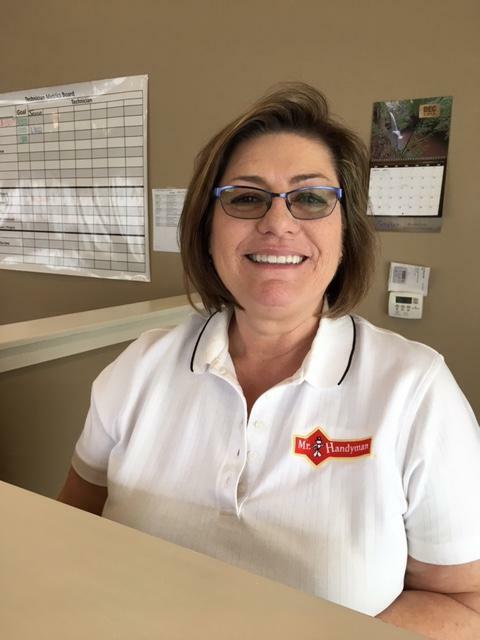 Self-care, family and faith motivate Welch, who says last year’s move from corporate America to franchising hasn’t interrupted her healthy lifestyle. After all, Welch has been a student of professional and personal development her entire adult life. Now in her 50s, she says deep religious faith and meditation are sources of inspiration. “I read psalms every morning. I’m a spiritual person, so I listen to that ‘still, small voice’ that keeps me present and in the moment. It’s easy to get distracted; being quiet helps,” Welch says. During the day, the Northern California mother of three says separating emotion from business also keeps her upbeat. In addition to speaking with customers, Welch’s primary responsibilities are networking and marketing. “I’m a very social person. My job is to make the phone ring. It energizes me to establish and maintain relationships with people,” she says. According to Welch, Monday luncheon meetings at Rotary International are uplifting as well. Warm hugs, a sense of camaraderie and business referrals leave her with newfound energy. “It’s a very edifying group for me.” Welch doesn’t have a particular book or philosophy to share with other professionals. “Just do what makes you happy and comfortable,” she says.